Spring is on its way. It's time for spring cleaning. This is the time of year for deep cleaning that you don't have time for on a regular basis. If the task seems too large, break it up into several weekends so you don't become overwhelmed. One of the reasons to perform intensive spring cleaning is to perform maintenance and upkeep checks--making sure that your appliances and fixtures are working properly. We'll start on the outside and move our way in. Be sure to get the whole family involved--many hands make light work. Turn it into a yearly tradition, a signal that summer fun is almost here. A few rules before staring the work: Never mix cleaning products. Bleach plus with ammonia can equal death. Start at the top and work your way down. Inventory your cleaning supplies and products and make sure you have enough--garbage bags, vacuum bags, paper towels, rags, rubber gloves, etc. Take them with you in a bucket or other container so you won't have to go searching for what you need. Have plenty of cold water and high-energy snacks on hand (nuts, dried fruit, cheese, vegetables) to fuel your endeavor. l Tackle the garage. Appraise your tool collection--get rid of tools you don't use or that are rusted or beyond repair. Make a pile of things to sell in the garage sale and things to haul to the dump. 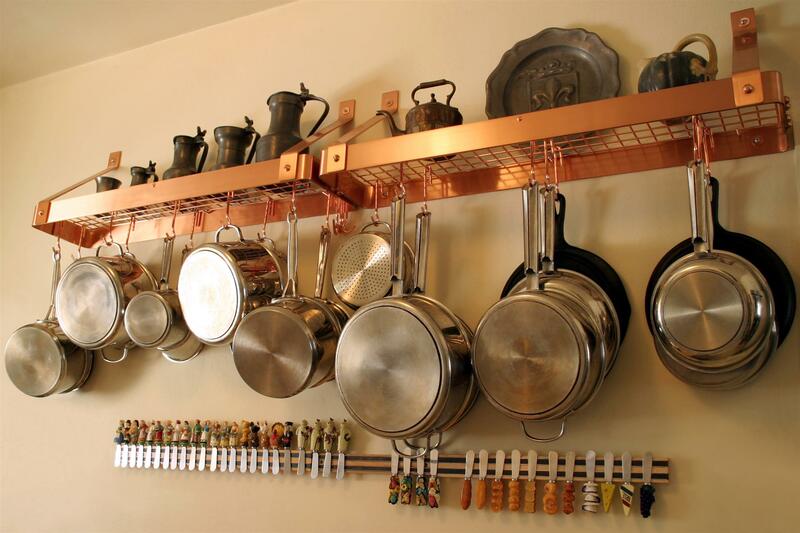 Install pegboard with hooks on the walls to hang tools and implements. Make a special place for outdoor toys, bikes, scooters, skates, etc. Finish by sweeping and spraying the floor. l Inspect the roof for loose shingles, for mushy places, for debris. Get the hose up there and spray it off. Remove debris from gutters. And, ensure that gutters aren't loose or in disrepair. l Examine exterior paint, brick or siding. Touch it up if needed. Check window screens for needed repairs or replacement, then power wash the outside of the house, including walls and windows. l Clean up woodpiles and other debris which serve as homes for pests. l Check your lawn sprinkler and dripping system for maintenance problems. l Drain all sediment from your hot water heater. l Perform maintenance on home cooling systems, air conditioning or swamp coolers before hot weather warrants their use. l Go through each bedroom closet. Box up any clothing that has not been worn for more than two years and donate it to a local charity. Perform repairs (sewing buttons, fixing hems, stain removal) before storing winter clothes. l Dry clean winter coats and donate those that haven't been worn. l Using a vacuum hose, dust out each closet thoroughly--walls, shelves, ceilings, baseboards, and floors. l Using a telescoping vacuum extension, sweep away all cobwebs and dust near the ceilings. l Throughout the house, remove all wall decorations and wash down the walls throughout the house using 1/2 cup ammonia, 1/4 cup white vinegar and 1/4 cup baking soda to 1 gallon of warm water. l Vacuum-dust all baseboards and wash them down using the above solution. l Wash all inside windows. Vacuum out the tracks. Vacuum/wash/dry clean all window coverings. l Dust and wash light fixtures and chandeliers. Vacuum lampshades. Replace light bulbs. l Wash all knickknacks. Vacuum books and bookshelves. l Dust and wash down all interior doors. l Remove heat registers, dust and wash thoroughly. l Clean out and reorganize the linen closet. Repair fraying towels and washcloths, or replace as needed. l With a vacuum brush, remove hair stuck to walls and ceiling by hair dryers and hair spray. l Deep clean shower, toilet, floor and sink. l Inventory the medicine cabinet and toss expired and add new medicines. l Defrost freezer (if needed) and wash out refrigerator. Toss out expired foods. l Remove screens on stove fans and wash. Clean oven and soak stove rings and drip pans. l Go through your kitchen appliances, clean thoroughly and get rid of ones you no longer use regularly. l Use your vacuum on the front of the coils and motor to remove dust and dirt. l Launder all quilts, blankets, comforters and bedspreads. Turn mattresses. l Move furniture to the center of each room and vacuum thoroughly. Shampoo carpets. l Inventory the contents of each room. Force yourself to get rid of the things you don't need. l Have a garage sale. Post items items on Craiglist.com to draw more traffic. l Put the proceeds toward a family vacation, or visit a local amusement park, water park or favorite restaurant to celebrate the beginning of summer.